Did you know that the world was celebrating ‘Pack your lunch day’ on March 10th? Oh yes, that is for real. But hey, who doesn’t like celebrations? So, to celebrate that, I collected 35 best lunch box recipes for your little one (and the rest of your family). Share yours in the comment and I will add it to the list! The best thing about these recipes is the fact that they are perfect for your kids, but also you! Take this to work and you will feel energized all day long. First – lunch box tips and tricks! 1. Choose fresh food. Not only are fresh foods better for you and your kids, but they even taste better. 2. Freeze what you can. You can prepare your snacks when you’re free and then just freeze them. It will save you time when you’re busy from work. 3. Keep your food safe. Choose an insulated lunch box or one with a freezer pack to keep the lunch box cool. You should pack food like eggs or dairy products if just cooked. First cool in the refrigerator overnight. 4. Go vegetarian at least two days a week. Replace it with a plant-based protein-rich food that will also fill you up. 5. Let your kids pack their own lunches. You will save time and they will not complain about their lunch. 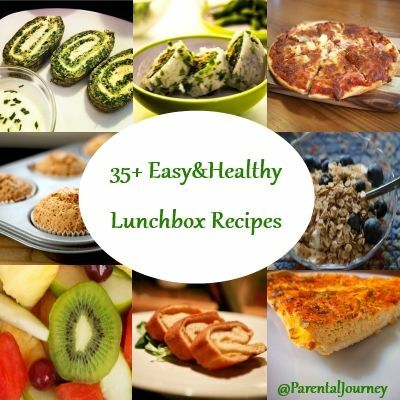 And here is a list of 35 lunch box recipes from around the web you can choose from. 1. Baked Parmesan Zucchini Chips – Vegetable chips can be really tasteful. This is amazing! 2. Ham & Cheese Muffins – Ham and cheese, how can you go wrong with that? 3. No-Bake Granola Bars – Perfect recipe for when you don’t feel like baking. 4. Rice Puff Bars – Kid of all ages just adore rice puffs. Try to make your own! 5. Raspberry Almond Lunch Box Waffles – Cute and interesting! 6. Monte Carlo biscuits – This is yummy classic! 7. Pinwheel lollipops – This is one of my favorites! 8. Fruit Kebabs – One really simple idea and the cutest one! 9. Cheese Puffs – It’s called cheese puffs, but it’s full of veggies! 10. Peanut Butter Brownie – For peanut butter lovers! 11. Chewy Oatmeal Raisin Cookies – Healthy version of cookies! 12. Banana Molasses Granola Bars – Granola bars are perfect for a quick burst of energy. 13. Acai Bowl – Time for superfruit! 14. Carrot & Oat Breakfast Cookies – Cookies with carrots! 15. Homemade Parmesan Potato Chips – Potato chips are not really healthy, but why not try homemade option? 16. Chicken Roll Surprise – Stuffed chicken! 17. Mini Quiches – Who doesn’t like quiches? 18. Fruit and Yogurt Parfait – You can put it in a jar! Love that! 19. Baked Quinoa Burgers – This is one of my favorite veggie burgers! 20. 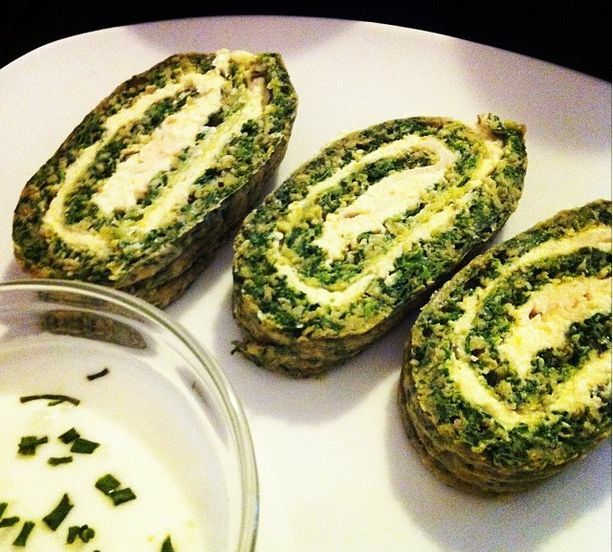 Savory Spinach Rolls – Don’t worry about spinach, your kids will love this! 21. Rice Balls – Cute and simple! 22. Pea Fritters – Wonderful and tasty lunch for your kids! 23. 3 Ingredient Mini Muffins – Just three ingredients! 24. Peanut Butter & Jelly Sushi Rolls – Coolest idea ever! 25. Roasted Eggplant Sandwich – Different type of sandwich. 26. Veggies Stored in Dip – Simple and you don’t need to cook! 27. Tuna Dippers – You can prepare it a day before! 28. Zucchini Slice – I adore zucchinis and this is the next on my ‘to cook’ list! 29. Vegetable Muffins – Healthy muffins! 30. Holy Guacamole Sandwich – I can’t wait to try this sandwich! 31. Banana Bread – You can’t go wrong with banana bread! 32. Wheat and Refined Sugar-Free Carrot Cake – One of the healthiest cakes I’ve ever seen. 33. Sandwich Sushi – Looks so interesting! 34. Raspberry Baby Muffins Sugar-Free – Muffins without sugar! 35. Veggie Wraps – Veggies are always the best lunch choice! Which one is your favorite lunchbox recipe? Feel free to share your recipe in the comment section! What a great collection of lunch ideas!! I wish my son wasn’t such a picky eater! I have been on a mission to find healthy lunches to pack for work, so I was really excited to see that you had shared this post with Hump Day Happenings. You have some really good ideas! I’m going to pin this to refer to whenever I need a new idea for my lunch. What a great list of lunch ideas. I am sure any child would love a lunch filled with some of these! Thanks for linking to the This is How We Roll Link Party! Wow this is a great list. I am always looking for ideas for lunch. I love this and thanks for linking up at #HomeMattersParty this week. What a wonderful list! We homeschool, but I love getting new ideas to fill their plates. Thanks for sharing on the (mis)Adventures Mondays Blog Hop! My kids eat their lunches so much better when they pack them the night before. It’s a bit chaotic (still need to work on that), but so much better!! 🙂 Thanks for the links to the lunch ideas! Great collection of ideas – pinned and shared! Pack your lunch day? I didn’t even know there was such a thing! This is a great collection of ideas…we’re always looking for ways to make weekday lunches exciting! Thanks for sharing. These are all great ways to mix up the lunch box eats!